Separate hair into two low pigtails at the nape of your neck. Secure with elastic hair ties. 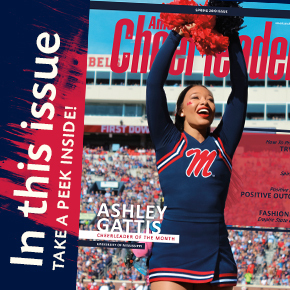 American Cheerleader – the leader in cheer magazines since 1995 – is the official magazine of Varsity Spirit and your destination for all things cheer.